Today, on August 26th, Amelia Boynton Robinson, a heroine of the Civil Rights Movements in the 1960s, died at the age of 104. 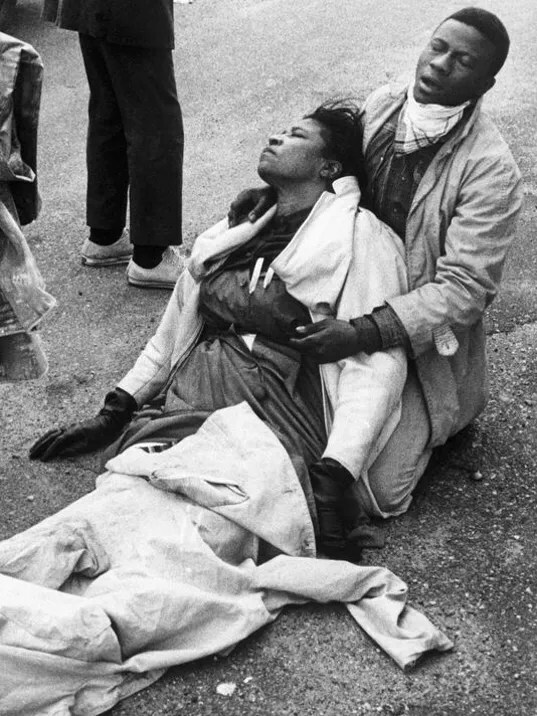 You may not recall the name but you’ve seen the brutal, telling images of her on Alabama grounds tear-gassed and beaten by racist policemen and state troopers on March 7, 1965, historically known as “Bloody Sunday.” She was one of the lead marchers that day and within minutes of the peaceful march to re-gain their human right to vote, thousands of non-violent activists were attacked. She recovered from her injuries, but the pain she endured became worldwide images of the racist practices in what should have been a more modern 1965. Prior to the 1965 marches, Boynton Robinson, a native of Savannah, Georgia, ran for Congress in Alabama, and became the first Black woman to run for that office and the first woman to aim for the Democratic Party ticket for the “Yellowhammer” state. She rose as a key figure in the Civil Rights movement in the South when she joined SCLC (the Southern Christian Leadership Conference) and worked alongside the many luminaries the group contained including the Rev. Dr. Martin Luther King, Jr. Together with SNCC, the Student Nonviolent Coordinating Committee (which included John Lewis and Hosea Williams, both of whom led the “Bloody Sunday” march) strived tirelessly for civil rights in the voting booth. Though it took months that turned into years, and after that mortifying Sunday afternoon, on August 6, 1965 the Voting Rights Act of 1965 was passed. And Boynton Robinson was an invited guest for the event as President Lyndon Johnson signed the bill. Even after the renewed bill was passed for equal voting rights, the “Matriarch of Civil Rights” continued her passionate fight for societal order and later was a founding board member of the Schiller Institute (a social policy “thinking tank”). In 2014’s Selma biopic, she was a central character in the film that heartbreakingly illustrated the marches of the early 1960s. Boynton Robinson was played by Lorraine Toussaint. 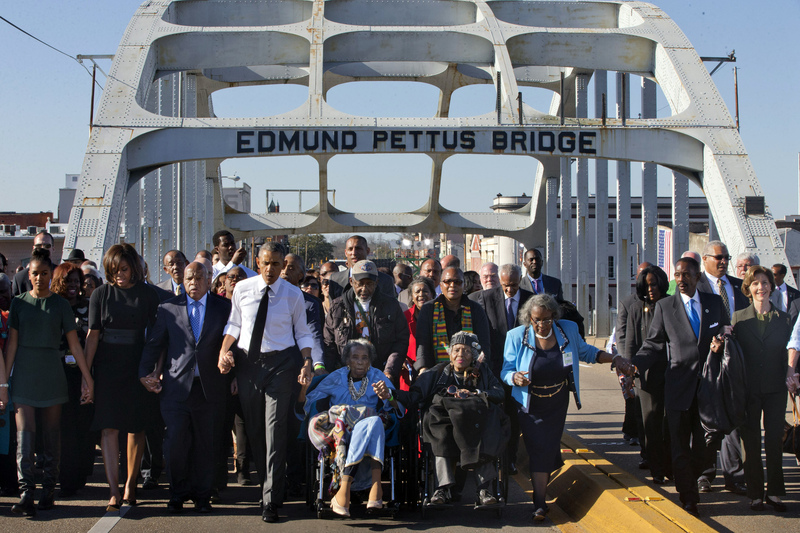 The real Amelia was also thankfully still us when she joined President Barack Obama and the First Family for the 50th anniversary walk over Edmund Pettus Bridge in Selma, Alabama, in memory of the many, alive and deceased, that walked for civil rights. 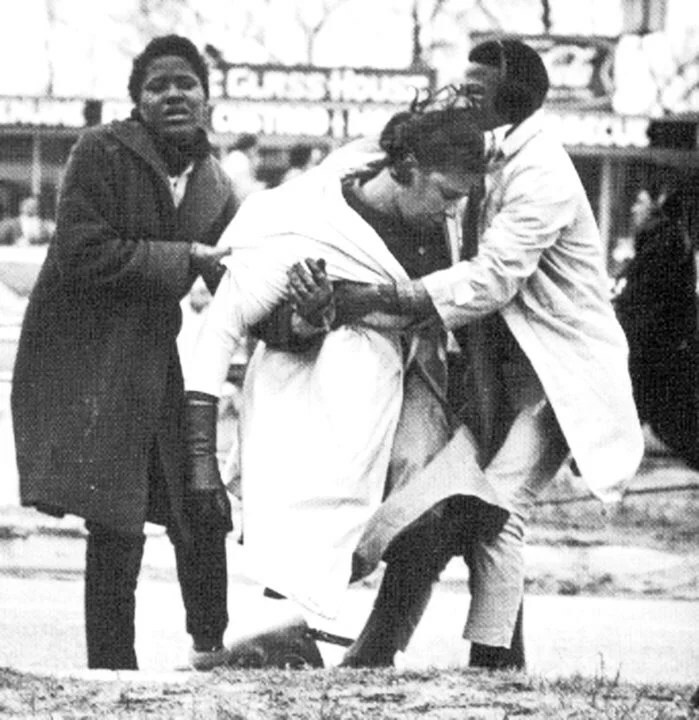 Boynton Robinson, in 2015, in baby blue and her wheelchair, was present for Selma’s 50th anniversary march. This past July, she was hospitalized for a stroke but was able to celebrate her 104th birthday on August 18th. She died on August 26th around 2:20AM in Montgomery, Alabama, as confirmed by her loved ones. On August 15, her Civil Rights peer Julian Bond, also passed away, at the age of 75. The first character I added to my rewrite of SELMA was Amelia Boynton. You couldn't tell the story without her. She started the story.